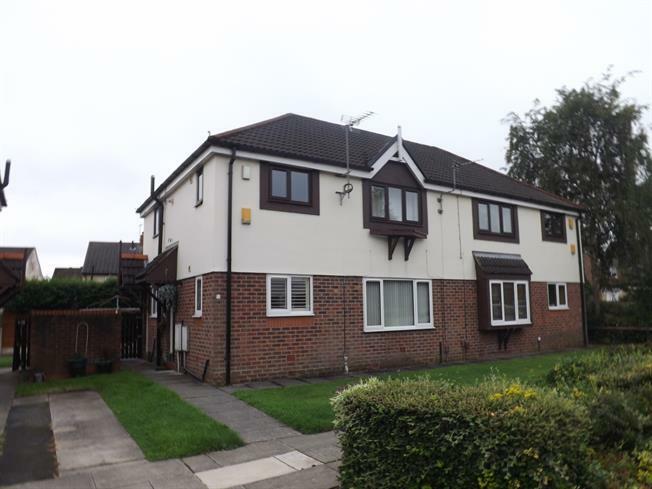 1 Bedroom Flat For Sale in Leigh for Guide Price £30,000. We are delighted to offer for sale this one bedroom ground floor apartment available for the over 55's. 50% shared ownership is also available for 30,000 subject to eligibility. Bridgfords welcome NEW to the market this ground floor apartment easy to maintain. On entrance through the hallway there is lounge with gas fire, double bedroom, fitted kitchen with gas hob and three piece bathroom with shower over the bath. The property is warmed with gas central heating and is double glazed throughout. There is on street parking available along with rear communal garden which is laid to lawn. Contact the branch on 01942 670011 to arrange your viewing.